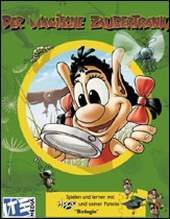 This fourth "Play and Learn" adventure The Magic Potion is all about biology. There are eight different games that are all dedicated to this topic. Three adjustable difficulty levels make the learning in each age group not be boring. Can you help Ruth to save the school class? A class makes an excursion through the woods and accidentally penetrates into the ground of the evil Scylla in a troll forest. She is very upset. Out of anger she turns the whole class, together with the teachers, to stone. Ruth, the daughter of Hugo, has seen everything. She wants the spell of Scylla reversed and now gathers the ingredients for a recipe that can accomplish this.